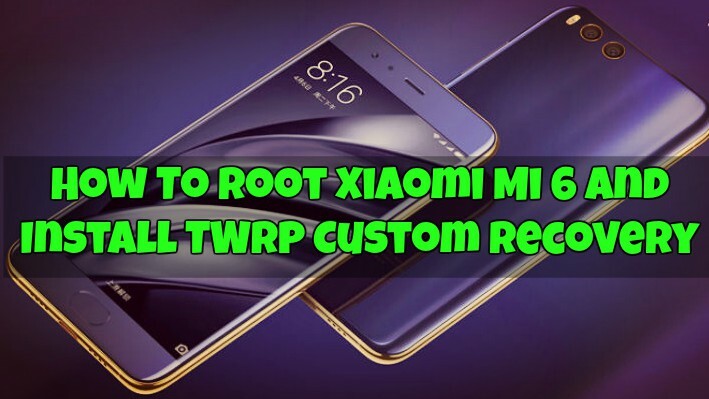 If you want to root Xiaomi MI 6 phone want to install TWRP custom recovery, so you can enjoy custom ROM or other rooted mods on your Mi 6 phone. Here is the good news for your now the TWRP recovery is released for the Xiaomi Mi 6 phone, that means you can easily root the Xaiomi Mi 6 phone. The phone already available in the market and many Mi 6 users are awaiting for the custom recovery to get the root access on their phone. So here in this guide, we will discuss how to flash the TWRP custom Recovery on Mi 6 phone and after that how to root the Xiaomi Mi 6. Below is the full guide which you can use on your phone and Install TWRP Recovery and Root Xiaomi Mi 6. Before rooting your phone, you must unlock the bootloader of Xiaomi Mi 6, and after that, you can get the root access on your phone. Check out our guide here Unlock bootloader Xiaomi Phones. If you’ve already unlocked your Mi6, you can go ahead and follow the guide and install the TWRP and flash SuperSu Zip file to root your phone. Read all the steps very carefully and follow all the steps very carefully on your phone. And, yes do take the full backup of your phone. d) Download the SuperSU file from here. 1. First enable USB debugging from setting > developer option>. To enable Developer Options, go to About phone and tap the Build Number 7 times. 2. 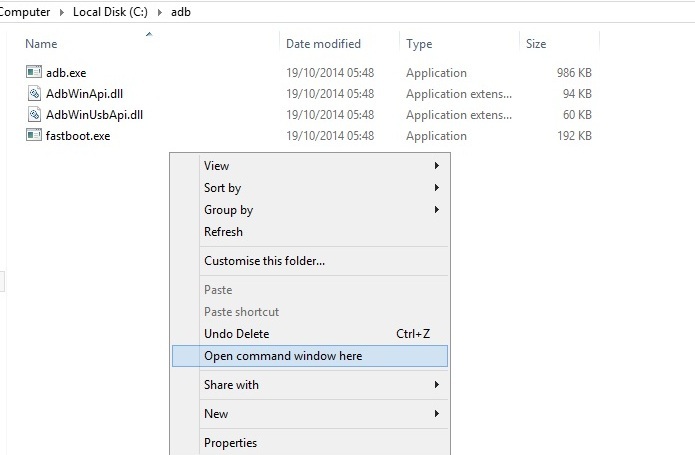 Now open the ADB folder on your desktop that you created at the time ADB drivers installation. 4. In the ADB folder press and hold the ‘shift’ key and right-click anywhere in that folder. 5. Now Connect your Xiaomi Mi 6 phone to the PC with USB cable. 6. Now time to boot your phone into the fastboot mode. To do this enter the following command in the windows and hit enter. 7. Once your phone in fastboot mode, enter the following command to flash TWRP. That’s it. TWRP recovery has been installed on your Xiaomi Mi6. 1. First, save the Super Su zip file on your Phone internal memory. 3. Now your phone in TWRP recovery mode. 4. From here tap on Install. And locate the SuperSU zip file that you save in your phone in step1. 5. Select and flash the same on your phone. Just swipe to confirm the install. 6. Once the process is complete, select Reboot » System. That’s it. Now your Xiaomi Mi 6 is successfully rooted with the help of TWRP recovery. If you have any questions, then comment below. Use USB deview app to uninstall all the previous versions of drivers and reinstall the new one.